Today over at The Gardener's Cottage, Janet had a link to Small But Charming. Jane is having a "Flowers in the House" link party and you must go and check out all the beautiful spring flowers in everyone's lovely homes. This is what I have today. Not a lot, but I've been making these little herb arrangements and I just planted zinnia and dahlia seeds. I think I'm about 60 days out from having lots more to choose from. Nothing makes me happier than fresh flowers and candlelight. What a beautiful blog you have. I'm so happy you found me via Janet and joined in the house party! 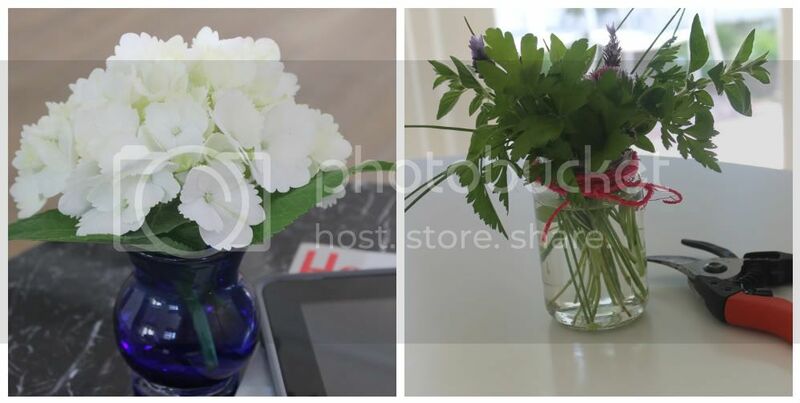 One of the many reasons I love to host Flowers In The House, is I get to go visit blogs that are new to me. I get to read a new voice and if Im lucky get to see some flowers too. Super cute! I would be happy too if I had fresh flowers and candlelight! Of course I would be even happier if someone would sort my mail and make room for pretty flowers and candlelight! Fresh flowers are the best! I try to always have some in my house. Right now it's peonies! Love the flowers by candle light! White is still my all time favourite colour for bouquets. Beautiful flowers and arrangements! By the way your blog is lovely with interesting contents ... Keep up the great work and positives vibes. I'm going to do this tomorrow. I never cut flowers from my yard! Isn't that ridiculous! I love to garden and to be outside but never bring them indoors. Time for a change. White flowers, a silver tray and candles ... magic! fresh flowers and candles are the best! How delightfully charming this post is and, like others, we love the flowers with the lit candles - absolutely perfect and inspirational. Absolutely perfect! I love the tray of flowers with the candles - so pretty! I love flowers in my house! Such happy-makers! 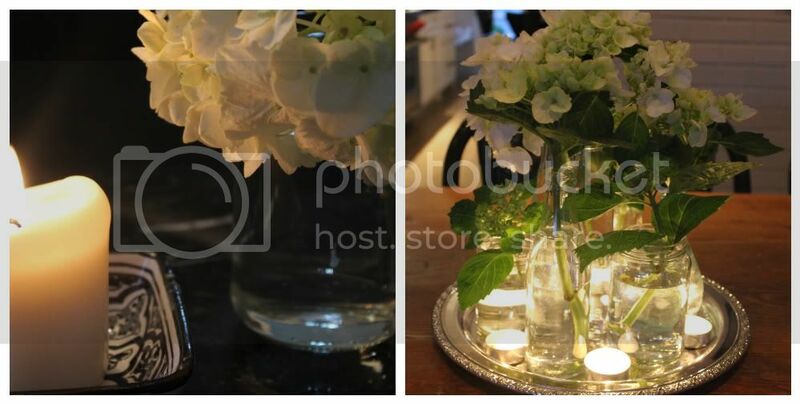 I love the flowers and the candles - it is relaxing just looking at these photos! Thanks for sharing. love your arrangement with the candles - it's so pretty! Beautiful flowers, they are look ethereal by candlelight.